Estate sale...$380,000 4 bedroom, 2 bath ranch with a 3 car garage on a 70 x 187 lot. Two unit commercial building in the heart of downtown Western Springs. 2200 sq. ft. in each one. $595,000. King-size home on the corner of Walnut in Old Town. Walk to town, train, schools, rec center, pool and library from this beauty. 5 bedrooms, 5 full and 2 half bath with a 3rd floor. Asking $2,199,000. 5 year old home with lots of extras! Home theater, flat screen in family room, coffee area, heated garage, 50 x 214 lot, 3 story, 4 brs, 5 1/2 baths. For sale for $1,100,000. Sold in 2005 for $1,185,000. 503 45th Street, Western Springs Walk to train from this brick 4 bedroom, 3 1/2 bath home. On the market for 176 days, originally listed for $825,000 and sold for $730,000. Closed on July 16, 2010. On the market for 186 days. Originally listed in 2005 for $1,030,000. Listed this year for $839,000 and sold for $725,000. Closed on July 19, 2010. 4 br, 4 1/2 bath home. Built in 2008 this home has 17 rooms. On a 50 x 213 lot it was on the market for 434 days. Originally listed for 1,749,000 and last at $1,050,000 it closed on July 15th for $1,050,000. It had 5 bedrooms, 5 1/2 baths plus a 3 car garage. As you all know by now I live in Western Springs, I sell houses in Western Springs, I am a member of the Western Springs Business Association, I volunteer in Western Springs, I raised my family in Western Springs, etc. It appears to me that I need to get out a little more!! The purpose of my blog is to keep everyone informed on the current trends in real estate. I have been a full-time realtor since 1978. I have seen many changes over the years. There was a time when rates went up to 16% and the only deals being made were contract sales. There were the glory days for the sellers where multiple offers were the rule rather than the exception. Prices rose for almost all of the years that I have been a full-time realtor. Around 2005-2007 the peak was reached and the story has changed. I would have thought it would have happened sooner but it didn't. Like many buyers I got caught in it too. I bought a home in Western Springs in 2007 and completely remodeled it. 2 1/2 years later we are selling it for a major loss. In comparison to other areas I still think Western Springs has held up far better than most. Sales are being made and even though many people have sold for less than they paid the drop is relatively small (unless you are the seller). This home is a block to the train. There are 5 bedrooms, 2 1/2 baths. It was originally listed for $549,000 and lowered to $529,000. 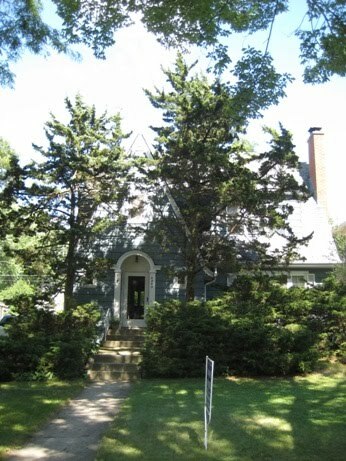 Sold and closed on July 6, 2010 for $500,000. This home had previously sold in 2005 for $530,000. This information is being posted to help everyone understand the current real estate market. For a home appraisal give me a call...Linda Hanley Kelly, Charles Rutenberg Realty, 708-334-5356 Serving our area for the past 30 years I have experienced many different market. I pride myself in understanding the changes and working with them. Nice brick ranch with attached 2 car garage. Built in 1967 and has 3 bedrooms, 2 baths and an unfinished basement. For sale for $449,000. Linda Hanley Kelly, broker, Charles Rutenberg Realty, 708-334-5356 Call today for a free home appraisal! Built in 1964 and has 3 bedrooms, 2 1/2 baths and a 49 x 132 lot. Up for sale for $349000. Old Town two story built in 1923. Sits on a 76 x 158 lot and has 4 bedrooms, 1 1/2 baths. July 9th and 10th, 2010 is the annual sidewalk sale. There will be a nascar at the Village True Value Hardware on Burlington Avenue from 1-3 pm on Saturday. This home was on the market for 413 days. Listed for $1,249,000 and lowered to $1,124,900 and closed for $1,060,000. 50 x 135 lot, 5 bedrooms, 5 1/2 baths bonus 3rd floor and finished basement. Unique rental...12 foot ceilings, 1 bedroom, 1 bath and a fireplace for $1200 a month. Walk to train and town. Short Sale approved on this home built in 2008. 4 bedroom, 5 1/2 bath on a 50 x 132 lot. Just a block to train! Comes with a 42" flat screen tv. $870,000.